Great job! Love the skin with all the pimples and little details. Also the textures and weathering. Gave you a 9 because minus 3 wasn’t an option. Only joking.....great job yet again. Loving the different textures you have worked into it. Great textures and Color choice. 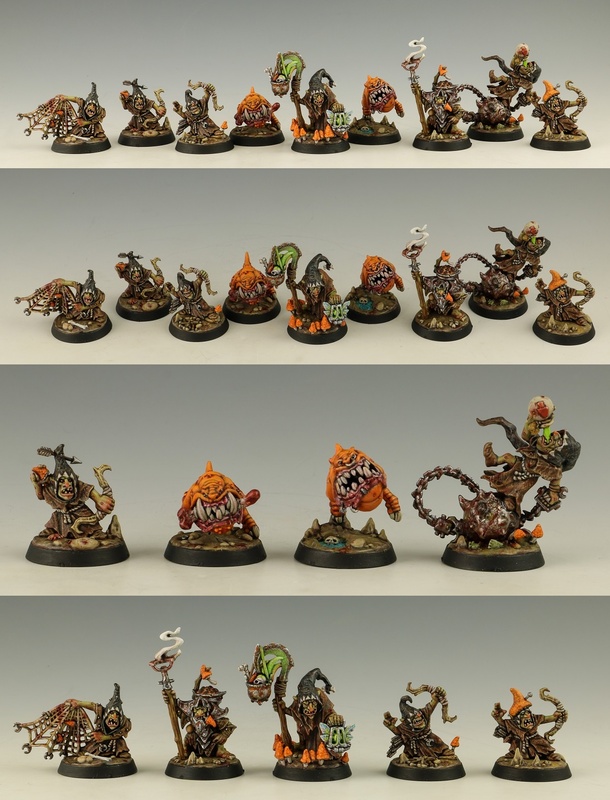 I also like the orange squigs more then the classic red ones (my squigs are blue). Neat metallics. Great work. I love those orange mushrooms. Your minis never fail to impress. These are awesome with the gritty little details you add. Superb work BaM! I love how you can turn 3 or 4 base colors into such a varied and stunning looking palette.